Pacific Northwest Homes We are proud to present Pacific Northwest Homes On the following pages you will enjoy an inspiring array of beautiful homes within the breathtaking Pacific Northwest–designed and accessorized by the regions's foremost home design professionals. 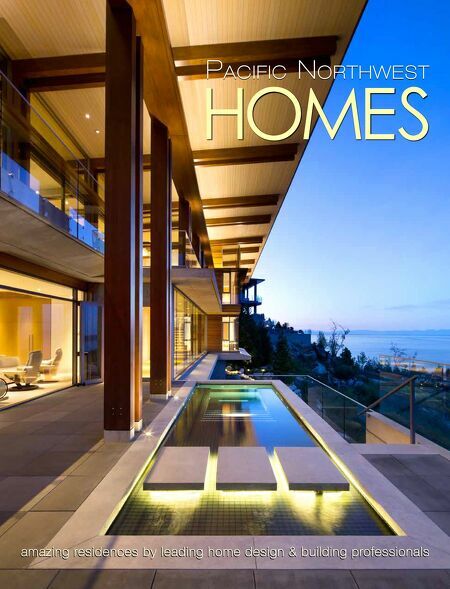 Pacific Northwest Homes presents the masterful creations of 50 acclaimed architects, interior designers, and custom builders from the states of Washington, Oregon Idaho and Montana as well as the Canadian province of British Columbia. Each of the featured private residences was designed expressly for those who dwell within, whether it's enjoyed year-round or for just a few short weeks a year. The time, energy, and attention to detail put forth by these creative professionals is as inspiring as the homes themselves. Whether you simply enjoy dreaming or you're actively seeking ideas and resources for your own piece of paradise, the designs included in this special collection are sure to exceed all expectations. Get to know the architects, designers, and builders. Get a sense of their style, how they work, their perspectives, and the creative gifts they bring to the drawing board. And when you're ready to move forward, consider taking them with you on the journey. This book is available in bookstores and Amazon in early 2018 or from any of the professionals showcased herein. Turn the pages and enjoy!